A real transformational, high-velocity powerhouse training and coaching programme for those who want to smash the next level. Includes 1:1 and Group coaching, training and mentoring from Alexandra for specific outcomes, breakthroughs and mastery over a six month period. 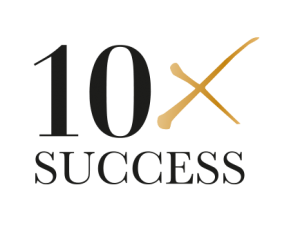 Fast-paced and fast results orientated programme that trains you on the 10x Success Rules so that you can get ten times the results consistently. Great for teams or individuals, this option is for 6 weeks and includes a 10x Success Day. TripleM is an in-person and online leadership and management programme designed for high-performing women who need specialised training and tuition on mastering confidence, goals, decision-making and building an influential voice. Great for high-level management. One-Day Training Intensives that take a team or individuals through Alexandra’s Successful Mind Method. Tailoring the training for your particular needs, this dynamic day is one of the best ways to make instant change happen and create a blueprint for 10xing your goals. Expect big breakthroughs. Keynote or full interactive Workshop, Alexandra will take your team through these specific and highly-effective principles for on-the-spot breakthroughs. Taken from her forthcoming book, these rules for success are aimed at making big leaps in a short time period. Great for any team meeting. Alexandra also facilitates Discussion Groups, Q&As, Stakeholder Interviews, Assessments (with management pre and post briefings), Advanced Training, Train the Trainer, Small Group Intensives and Focus Groups. All are aimed at making what isn’t working to work, what could work faster to improve, for potentially difficult situations to run better and achieving 10x your results.